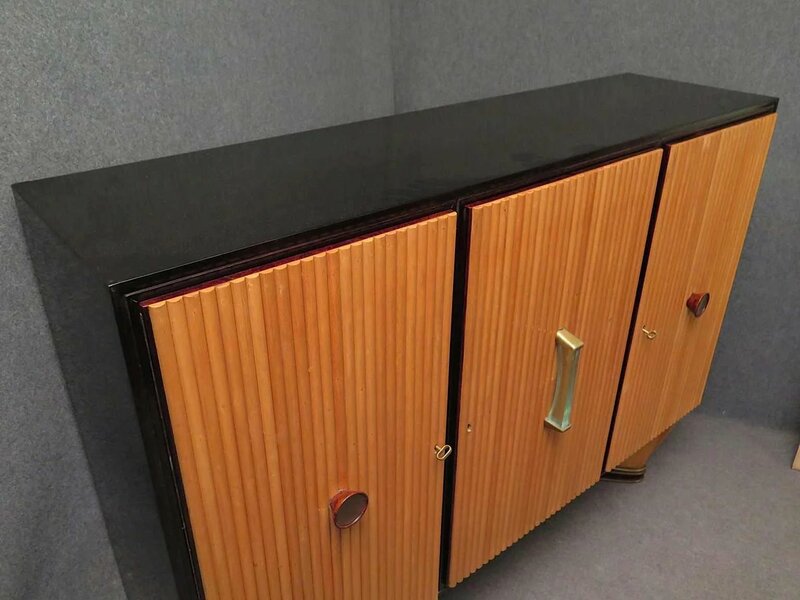 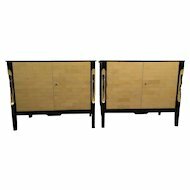 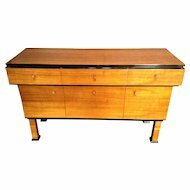 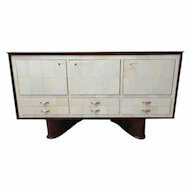 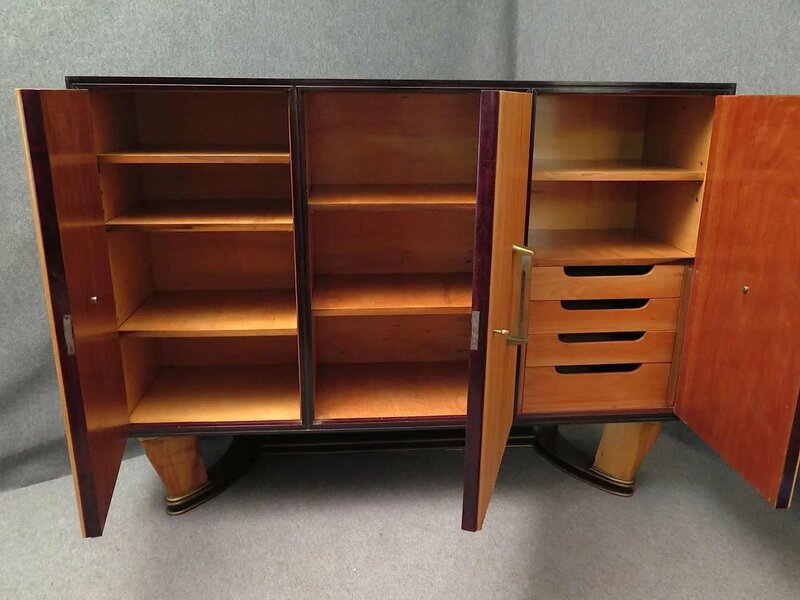 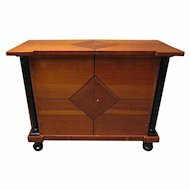 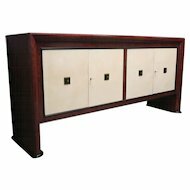 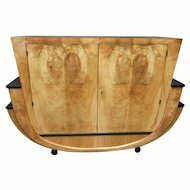 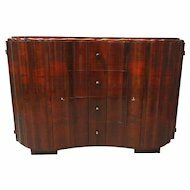 Fine Quality Art Deco Sideboard, Milan, labeled "Atelier di Varedo. 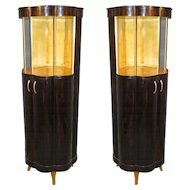 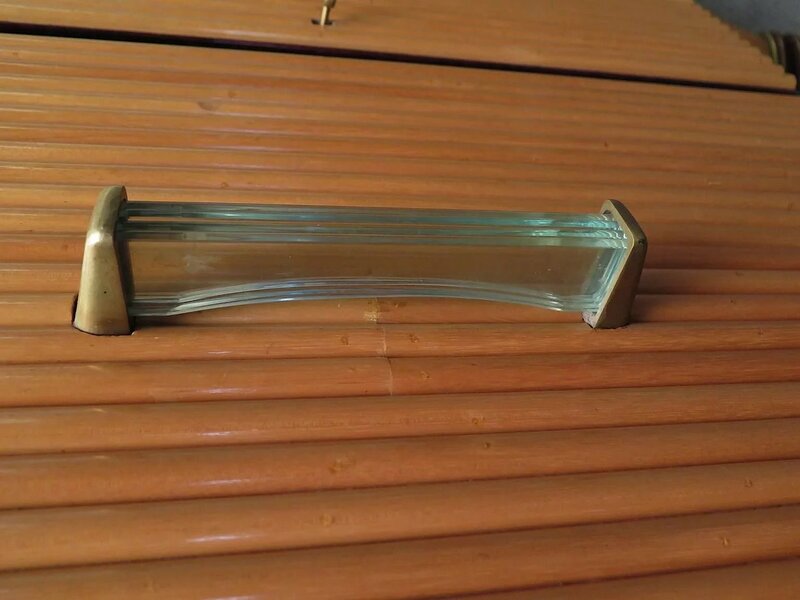 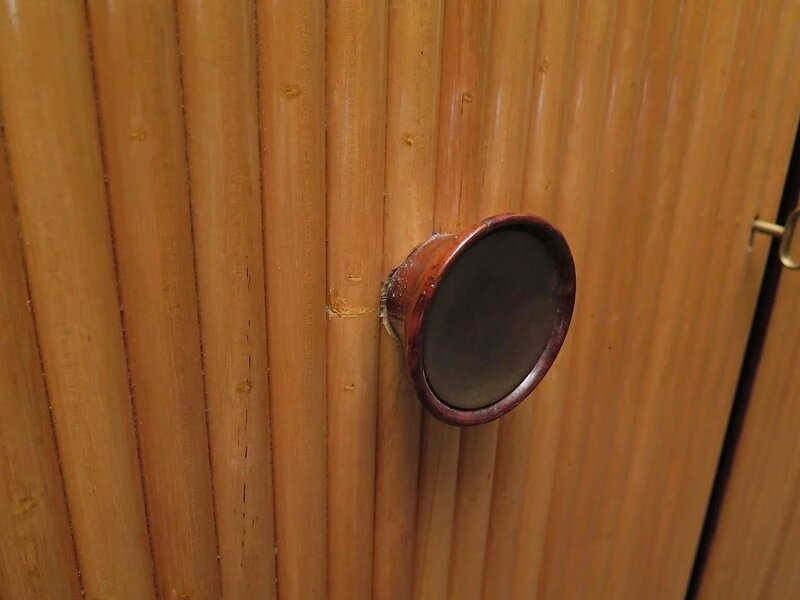 G. Borsani" ; with three doors and brass, glass, wood handles. 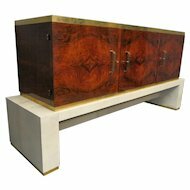 Gaetano Borsani (father) worked with Osvaldo Borsani (son) and established the Atelier di Varedo in the early 20th Century. 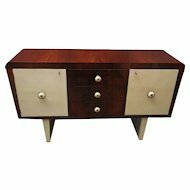 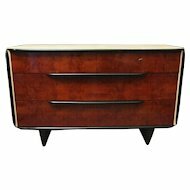 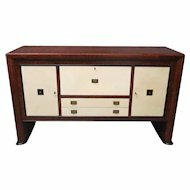 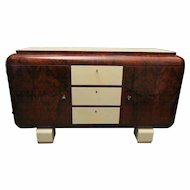 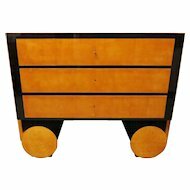 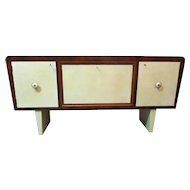 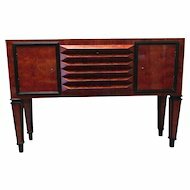 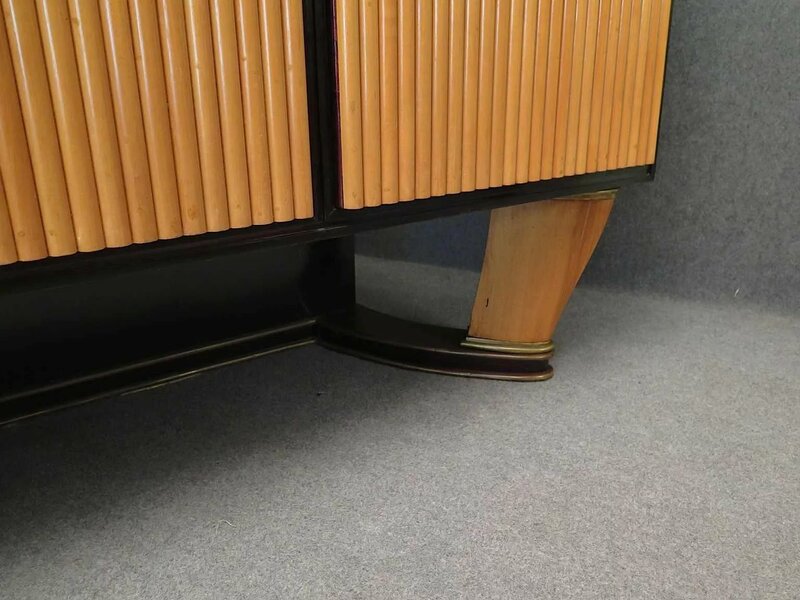 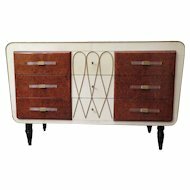 Art Deco Sideboard, Milan, labeled "Atelier di Varedo. 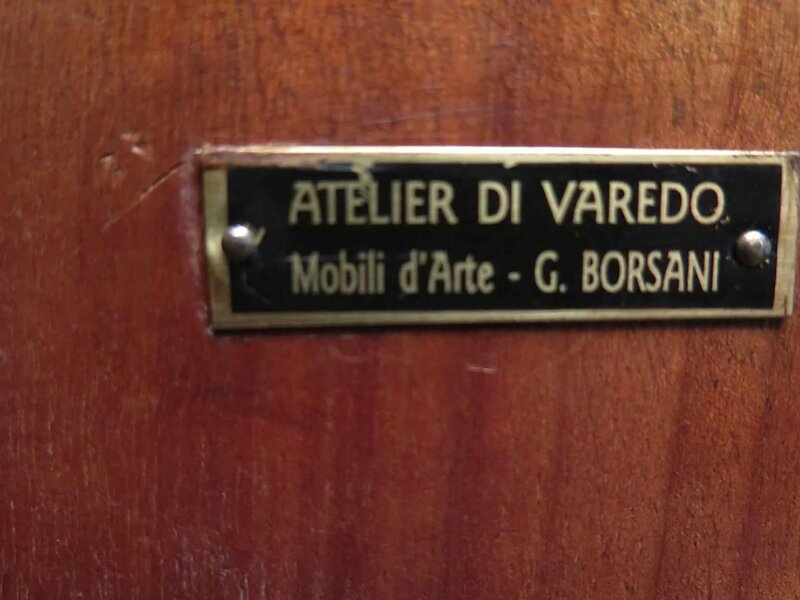 G. Borsani"